There's A Way, for Those Left Behind, to Find Peace Of Mind! 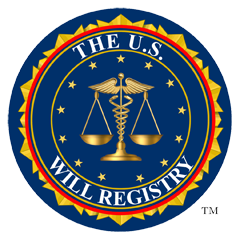 The U.S. Will Registry, Inc. is the only national centralized Last Will Registry exclusively for the United States. So many families agonize over not being able to locate a loved one's Last Will. Once you register, your information is secured and unable to be retrieved without the necessary legal documentation (Death Certificate and ID). Whether your original Will (or copy) is with your Attorney, with your best friend, executor, power of attorney, in a desk drawer, or in one of your safe deposit boxes, you need to make its location known. Registering your Will with The U.S. Will Registry (www.theuswillregistry.org) assures you now, that your family can locate it later. Who Should Register a Last Will & Testament or Living Will? YOU! It is highly recommended that you (or your attorney) register your own Last Will & Testament. Most people who have a Last Will want to be assured it can be found. Don't rely on telling your children or anyone. Too often we hear that your family was told but no one remembers. People have too much on their minds these days to remember everything and no one wants to really accept losing a loved one. Attorneys use The U.S. Will Registry as a source for their clients as well. This assures them that their client's beneficiaries can find a Last Will & Testament that they have prepared. Attorneys want to be there for the families they have worked closely with to make certain their client's wishes are followed. Assisted Living Facilities & Nursing homes will encourage their residents to register. There is no denying that not being able to locate a Last Will & Testament causes tremendous stress for a family, or beneficiaries. Registering your Last Will gives you and your family peace of mind and helps to ensure that the location of your Last Will & Testament is not forgotten over the passage of time, and to assure that your Living Will is available no matter where you or your family are at the time the need arises. I don't have a Will - Well you certainly should have! A Last Will is one of the most important documents you will ever write since it protects and distributes your assets in accordance with your wishes and not the States. All states have a legal process in place for determining who will inherit the property of a person who fails to make a valid will through each state's "intestacy laws." 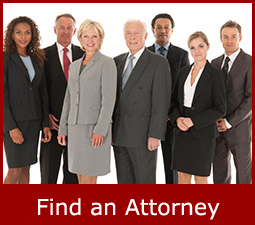 Simply click on Find an Attorney' to locate an Attorney in your area who specializes in writing Last Wills and Trusts. What happens if my Will cannot be found after I have passed on? Your beneficiaries may never receive their inheritance in accordance with your wishes. A previous Will that you never intended to be used may be discovered and deemed as your final wishes. Your Will may be found after your estate has been distributed, and therefore not honored. Your children and dependants may not be looked after in the way you have chosen. It would be assumed that you never had a Will. "Where There's a Will, There's A Way, For Those Left Behind, To Find Peace of Mind!" Developed By TechCompose Solutions Pvt. Ltd.